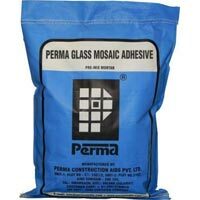 We are a famous Manufacturer, Supplier and Exporter of Adhesive and Grouts in India. 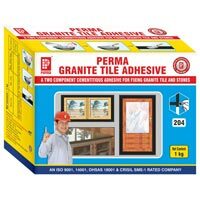 Adhesive and Grouts are used for filling and fixing tiles, along with various other things. 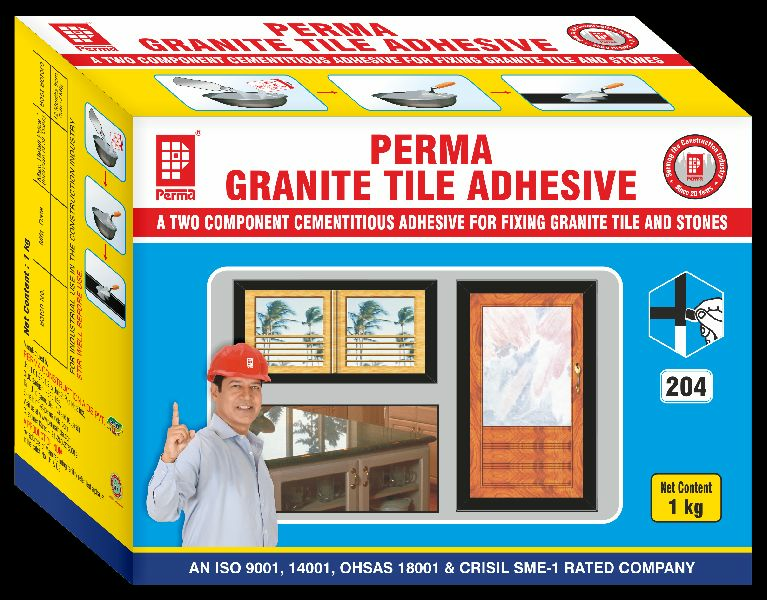 Moreover, these Adhesive and Grouts are quite dense and paste tiles in the best way. 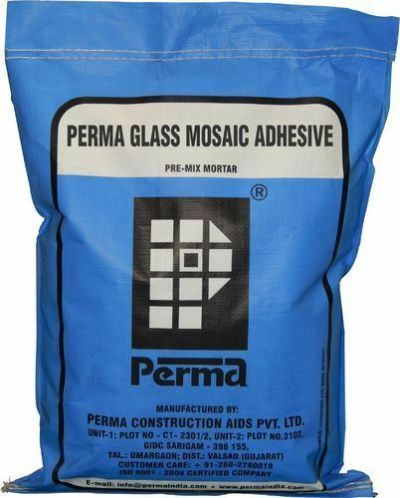 We provide a wide range of Adhesive and Grouts that includes Perma Glass Tile Mortar, Perma Granite Tile Adhesive, Perma R-Tone Filler, Perma Liquid Tile Adhesive, Perma Peak Super, Perma Pinnacle Excel and Perma R â�� Poxy. All our Adhesive and Grouts have a long shelf life. 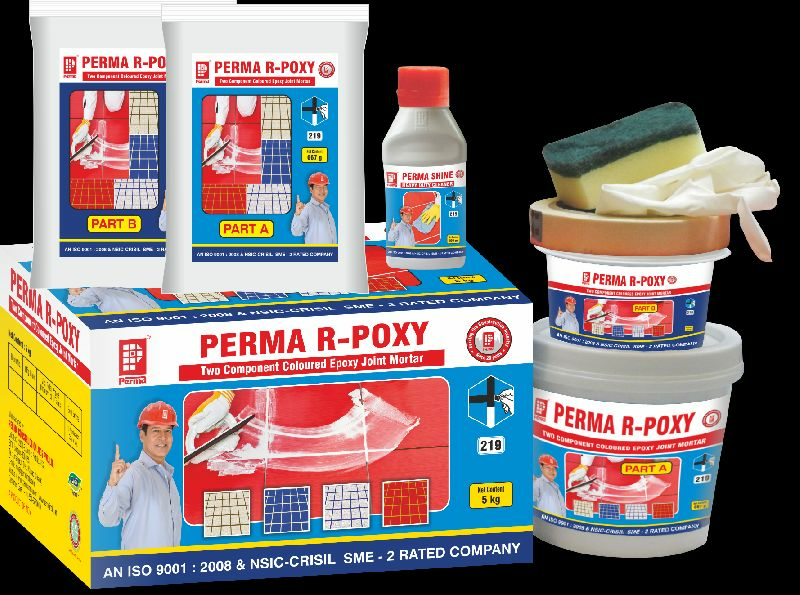 Perma R - Poxy is a two component thixotropic epoxy resin based coloured joint. Perma R - Poxy is used for filling joints in between tiles or stone. 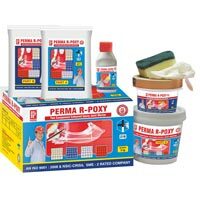 Perma R - Poxy provides for aesthetic germ proof, chemical and hard wearing joints, resistant to a wide range of spillages and chemical attacks. 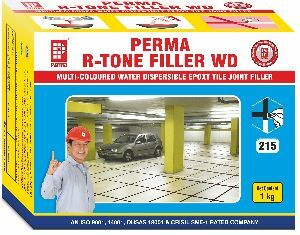 RTF is a three component epoxy resin based mortar used for filling joints between acid proof tiles in the industrial floors. 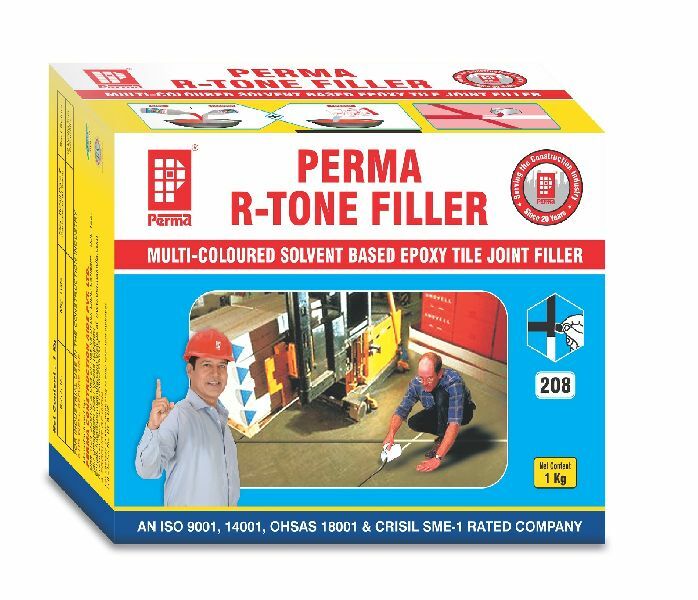 RTF provides aesthetic germ proof, permanent, hard wearing, chemical resistant joints for industrial foor tiles. 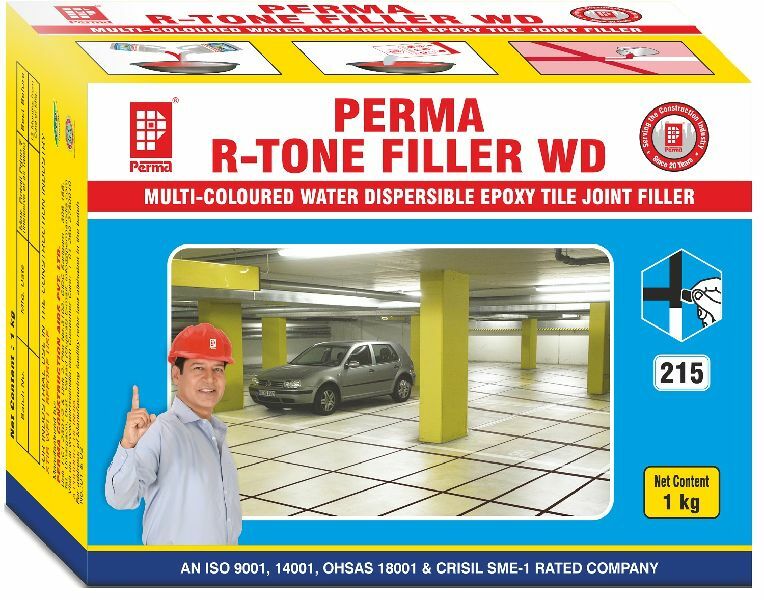 It provides a smooth, hygienic and dust free floor tile joints. Perma Marble Tile Adhesive is a cementitious material in white powder form. which only needs on site addition of water to make a paste which is used for fixing marble slabs marble tiles, to cementitious surfaces vertical as well as horizontal and glass mosaic tiles. 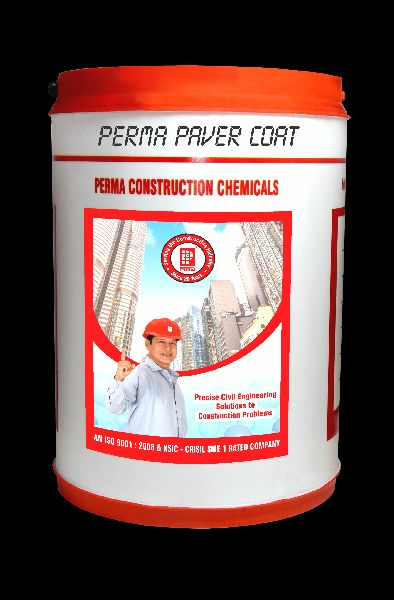 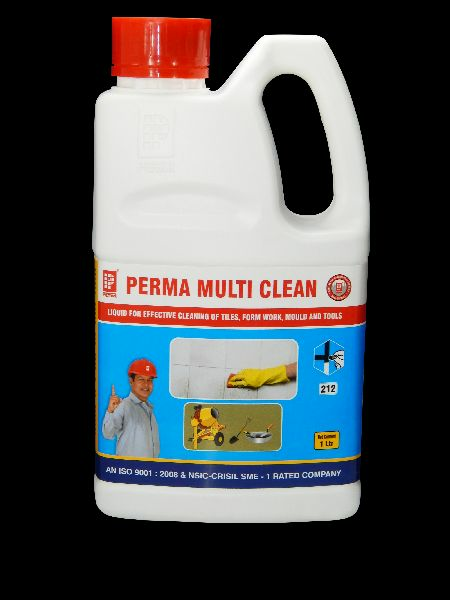 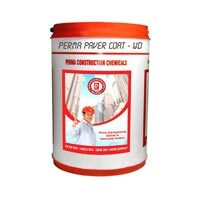 Perma Multi Clean is a multi purpose cleaning liquid useful in several cleaning requirements in house hold as well as construction and civil engineering applications. 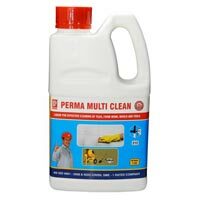 It is also an excellent cleaning agent for removing concrete and mortar runs from tools, wheel barrows and concrete mixer drums etc.